More fun with convolutional neural network processing. 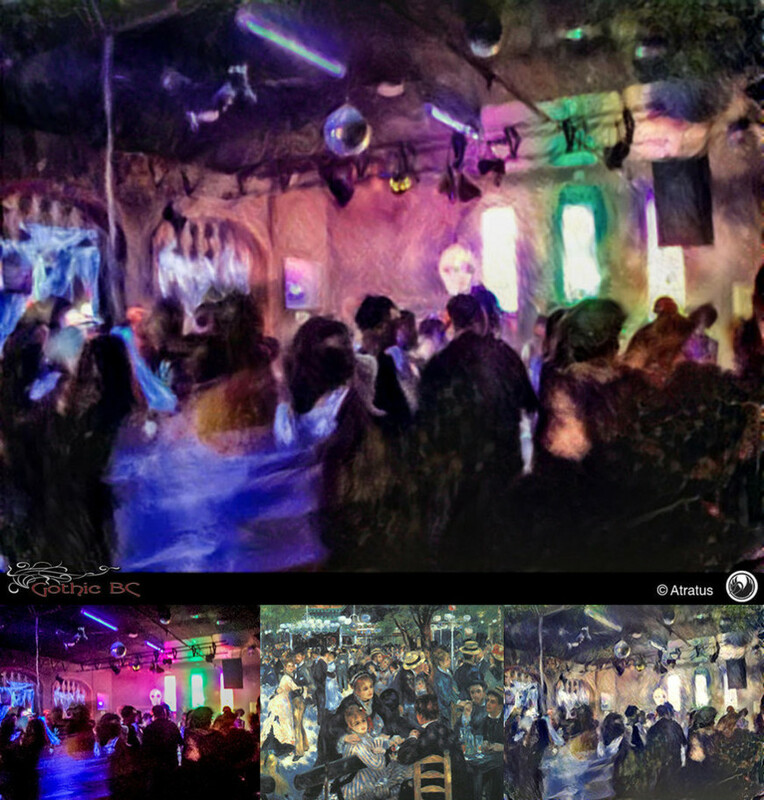 The larger image is the finished version with my tweaks while the smaller images L-R are: the original photograph that I took (taken at the "Dark Eighties" at the Astoria hotel, October 15, 2016), the artwork used for the style sample for the neural processing, and the unaltered result of the neural processing. In this case, the processing is based on Bal du moulin de la Galette, Pierre-Auguste Renoir, 1876.